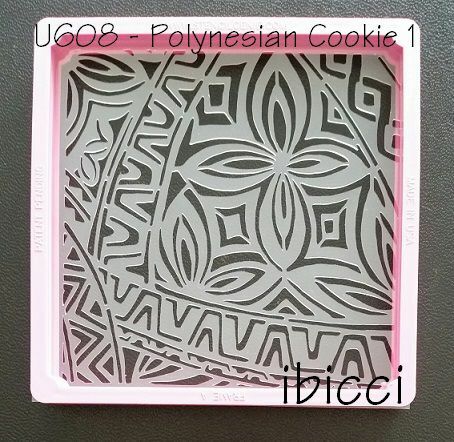 Hand designed for a Hastings Cake Artist from a photo of the Wedding material, this collection of stencils has been called 'Polynesian Wedding' to group them together. 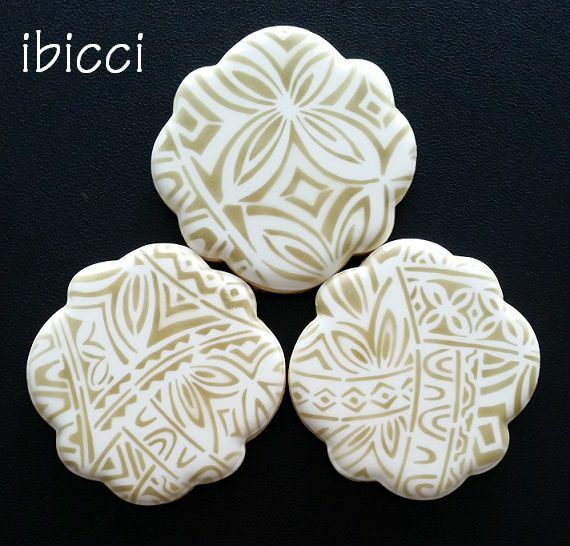 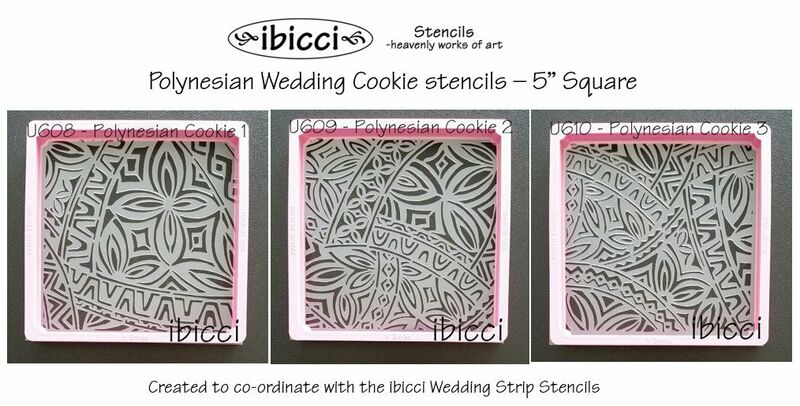 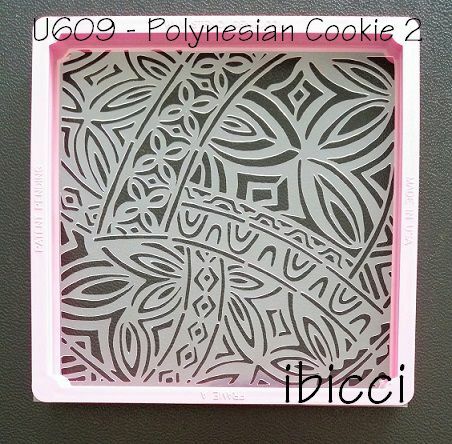 From the main design, 3 parts have been selected out for these 5" cookie stencils, giving a variety of designs for cookie decorating. 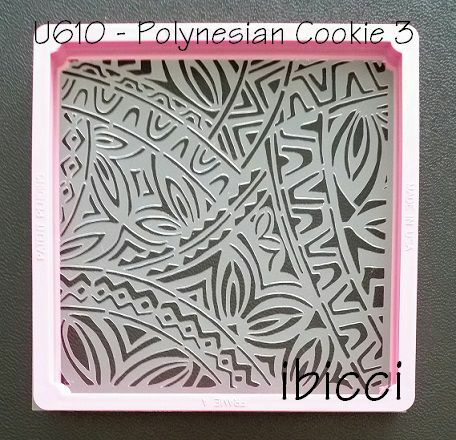 Each design measures 125mm square.